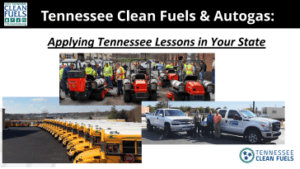 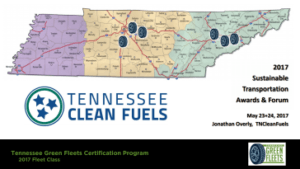 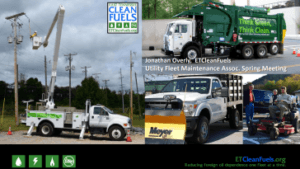 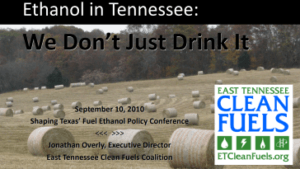 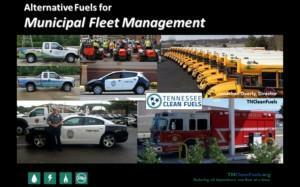 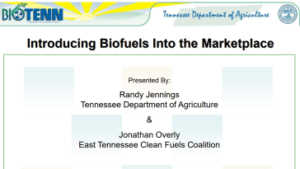 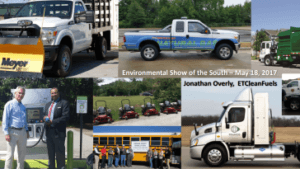 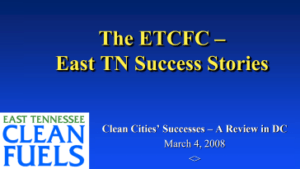 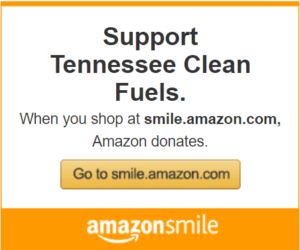 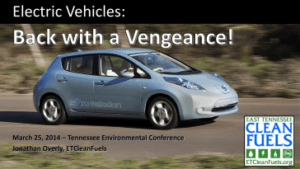 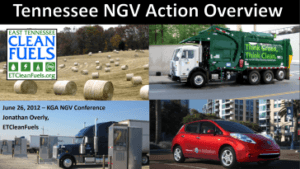 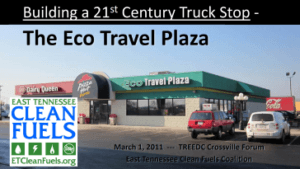 Tennessee Clean Fuels staff are frequently at workshops, conferences and expos across the southeast and the U.S. 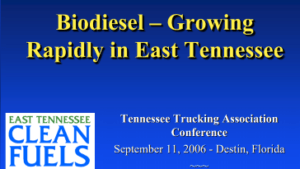 Sometimes we just attend, and sometimes we present on different topics (or serve as moderators on panels). 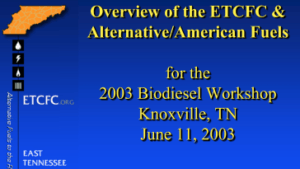 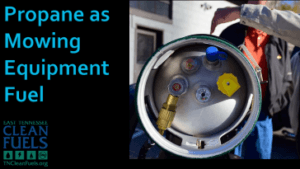 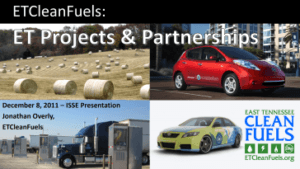 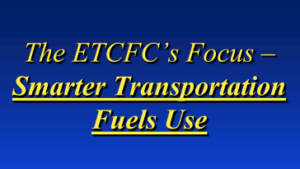 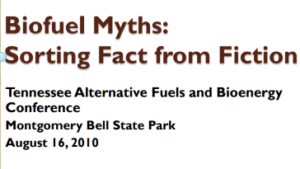 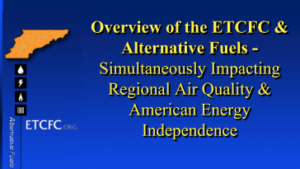 This page contains presentations we have given related to a variety of fuels, vehicle technologies or industry or legislative issues. 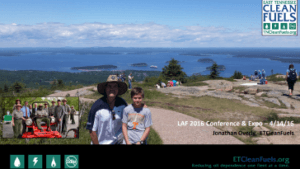 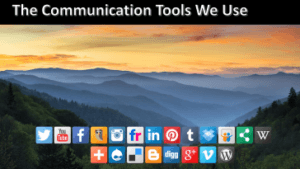 Just click on any image to access the PDF version of that PowerPoint file. 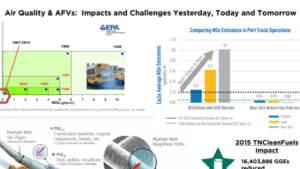 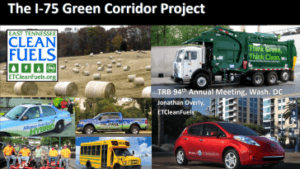 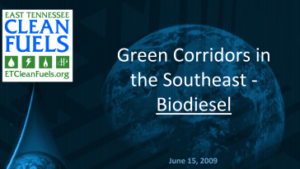 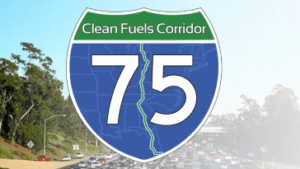 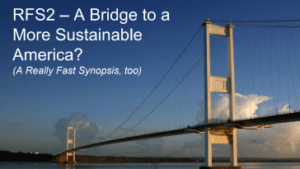 January 14, 2015: Metrics & Lessons from Building the Planet’s Longest Biofuels Corridor – The I‐75 Green Corridor Project at the TRB 94th Annual Meeting in Washington D.C.